We’re just about halfway through Bout of Books 10.0! How are you doing with your goal? Ready for a fun break? Check out my fun “spell it out” challenge! Use the first letter in any book you’ve read or want to read to spell out a word. You can choose first name, initials, your birthday month, or your zodiac sign. Share your word on your blog, Facebook, Twitter or Goodreads. Submit a link to your post in the linky below! You’ll get an extra FIVE entries in the Rafflecopter international giveaway for an eBook of your choice (Amazon or B&N, up to $10 USD) for participating in this challenge. You MUST be participating in Bout of Books 10.0 to be eligible to win the giveaway, but you can always post your answer in the comments just for fun if you aren’t a participant. 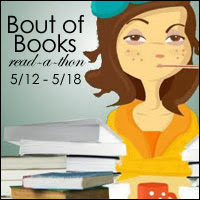 If you tweet about this challenge, don’t forget to mention me, @kimberlyreads, and use the #boutofbooks hashtag. The books I chose today are all ones I’ve read in 2014! But more than that, they’re among some of my most favorite books of the year so far. Remember: you MUST be participating in the Bout of Books challenge to be eligible to win. I will verify. 🙂 This contest is open internationally and the winner, once notified, will have 48 hours to respond before another is selected. A huge thank you to our overall Bout of Books challenge hosts, Amanda @ On a Book Bender and Kelly @ Reading the Paranormal! You both are amazing! What’d you think about this challenge? Let me know in the comments! I had a lot of fun! It was simple enough that it didn’t take up too much reading time yet wasn’t just this over and done thing! Great job! This was really cool! The hardest part was narrowing down what list I wanted to draw my word from. I need to get more books, I couldn’t find letters I wanted! Such a fun challenge to do. Thanks for hosting. What a super fun challenge to do! Thanks for hosting it! I had SO much fun with this challenge! It’s been my favorite one yet. Similar to the book spine poetry, which is a favorite. Thanks for hosting! thanks, that was so much fun! Emma @ Words And Peace #327 in the sign up page. I had to make a short word to make it fit in a tweet. But it was fun! What a fun challenge. Thanks for chance to win. Great challenge – this was fun! Thanks for hosting! Totally enjoyed doing this challenge. It was fun, cute and made me think of books on my TBR that I need to get to pretty soon. This was a fun one! Not too much thought involved, which was good! Thanks for hosting! It was SO hard to find a book the started with Y! Really great challenge! Thanks for hosting. Such a fun challenge! One of my favorites so far. Thanks for hosting. I am #478 (Candiss @ Read the Gamut) in the Bout of Books sign-up post. So fun to look back at my books and books I want to read! i really liked this challenge. it made me revisit some of the books that i really enjoyed. This challenge was seriously HARD, I thank you for that! I had fun creating the image(s) for today. 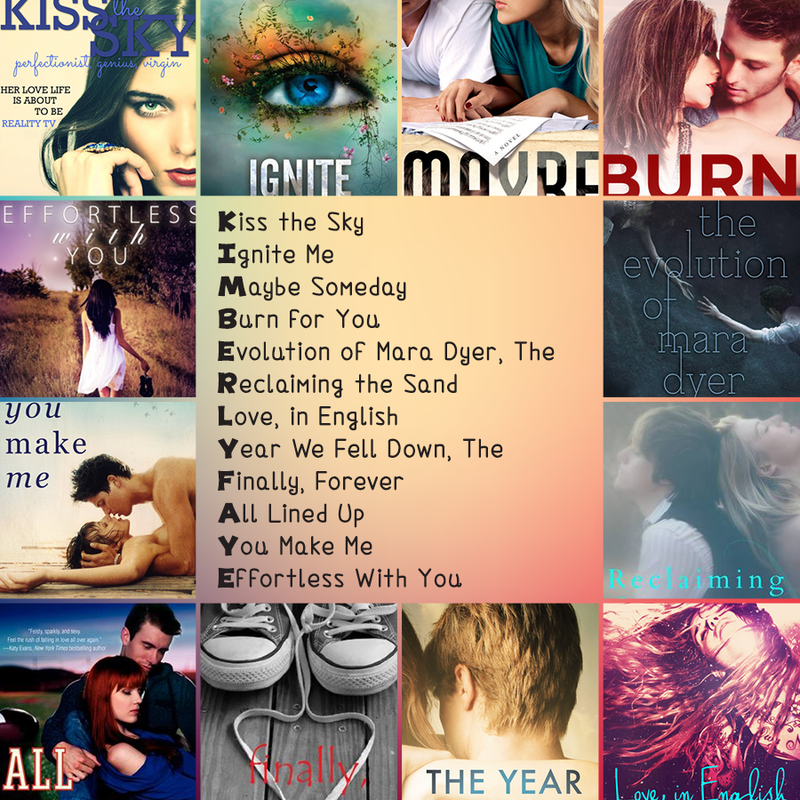 I changed it up a bit and cropped the book covers into each letter and gave a quick hint for each book. The answers are hidden for you to reveal if you want to try and guess before seeing the answer. Post link. Thanks for hosting! It was really fun! I love this!!! I loved taking a picture of books! Totally awesome challenge! Love doing it. Thanks for the giveaway! This was a fun challenge! Definitely made me think. If our electricity and internet would have been back up quicker after the storms, I would have maybe done my middle name too. 🙂 Thanks for hosting! This was fun! Here is my post: http://peninherhand.com/bout-books-10-spell-challenge/ I used my own spin on it. Thank you for the giveaway! This was a fun challenge!! This challenge was a lot of fun for me and definitely got me thinking about what books I want to read sooner rather than later! Thanks for hosting! Loved this challenge! I started my list but then had a movie date with hubby and didn’t get it finished till this morning. Here is the link if you still want to check it out! Thanks for hosting the challenge!